NGPA's publications are a key tool for members to stay connected. Every issue contains compelling editorial content covering current events, politics, fashion, health, aviation education, informative resources for professional pilots, event recaps, and a calendar of exciting upcoming events. 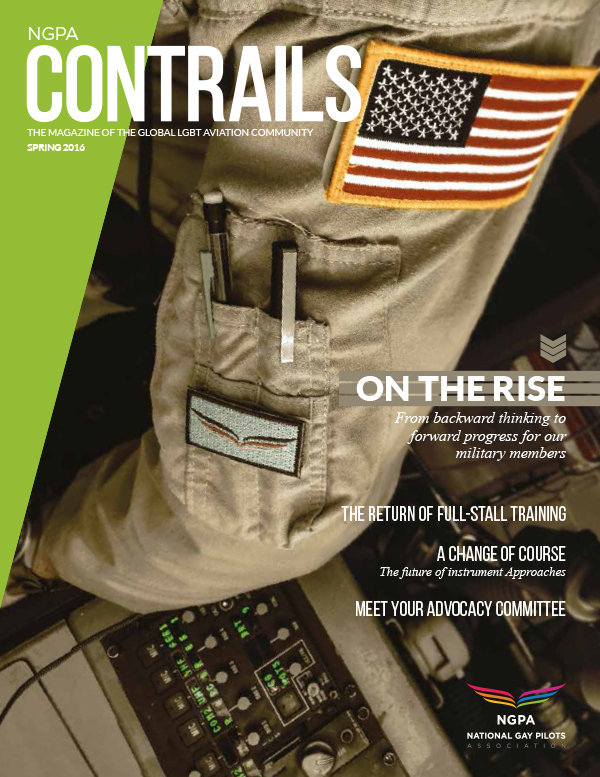 CONTRAILS is printed quarterly and mailed to every level of paid membership, distributed at official NGPA events, sponsored events, and 60 universities and colleges for future aviators. An electronic version is distributed via the NGPA website at ngpa.org. Our organization's monthly, digital newsletter is packed with the latest news and events at NGPA and within the LGBT aviation community, distributed to our full membership base. 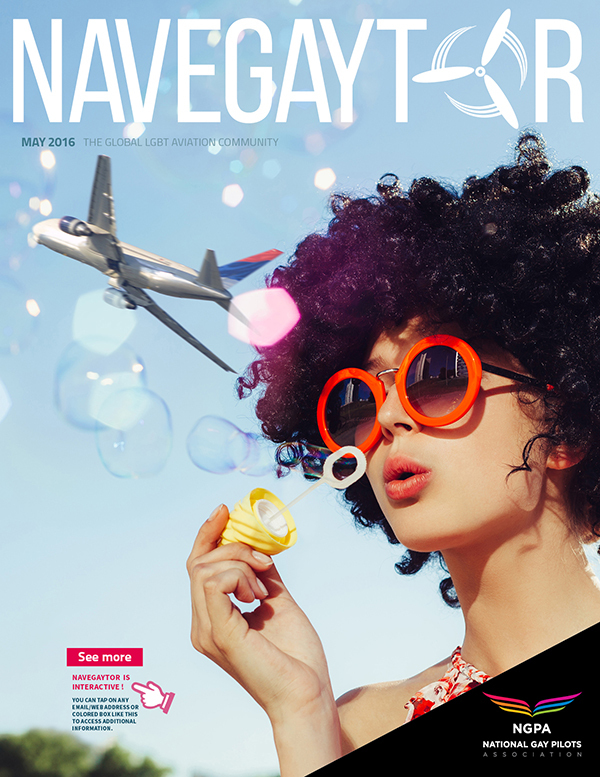 Users read NavEgaytor to stay abreast of NGPA event announcements, nationwide local LGBT events, important dates, and member benefit highlights.